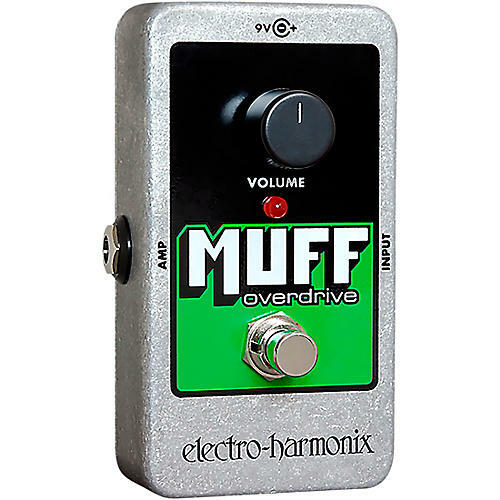 Huge fuzz in a teeny pedal! to save valuable pedal board space! The red LED indicates when the effect pedal is switched on. You can power the Nano Muff Overdrive pedal with a 9V battery, or an optional 9V 100ma tip-positive AC adapter with an 1/8" plug.